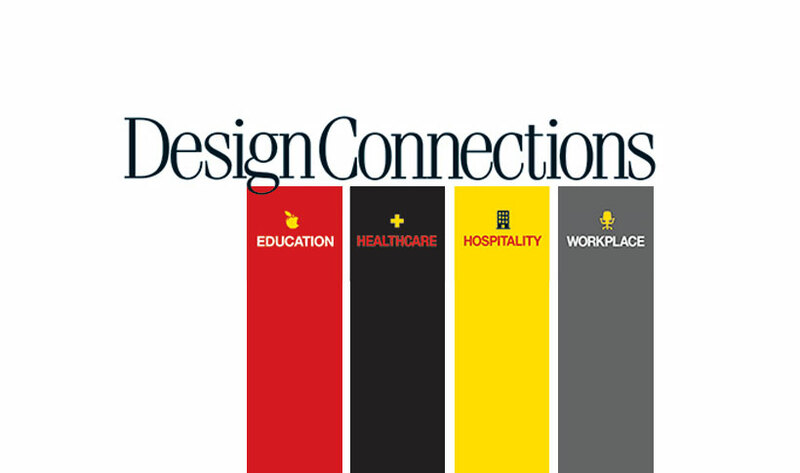 Donald Strum, IDSA, Principal of Product and Graphic Design, Karen Nichols, FAIA, Principal of Architcture, and Patrick Burke, AIA, Principal of Architecture will be in attendence at the Design Connections interior design summit this October 7-9, 2018. The summit is an invitation-only event that brings together the brightest minds and thought leaders in each industry of interior design for high level peer-to-peer interaction. Monday, October 8, 2018, Donald Strum will be co-moderating the inaugural Product Design Challenge for Design Connections participants to experience the power of group creation (Brainstorming) on how to repeat this innovative process in one’s own professional life. Tuesday, October 9, 2018, Karen Nichols, FAIA and Patrick Burke, AIA will be giving a joint talk about the hospitality industry titled ‘Like Nowhere Else in the World: Designing the Guest Experience’. The talk will present the 30+ years of firm experinece in the industry as a case study project. Today’s savvy travelers seek unique experiences that resonate with history, culture and a sense of place, and promote wellness and even learning. Financial experts note that spending on travel and dining experiences is outpacing demand for goods and personal consumption. This shift is driving growth in the hospitality industry worldwide. In response, owners and operators, architects and designers look at forecasts and trends to stay ahead of the market. In this session, two architects and interior designers from Michael Graves Architecture & Design will draw on their 30+ years of experience in hospitality design to discuss three trends that continue to shape the guest experience: context and character; sustainability and wellness; and integration of design at all scales. They will also describe how hospitality trends have influenced design for the workplace, healthcare and education. The goal of this event is to provide an intelligent option for education designers to meet with suppliers and exchange new and relevant information as well as share the latest in new products for the marketplace. Suppliers connect with decision makers for their products. Both suppliers and designers are provided relevant content for the education design industry. This is not a trade show event…it is designed for professionals on both the supplier and design sides to connect in an intimate setting and exchange significant information that will impact the way the education design industry grows.